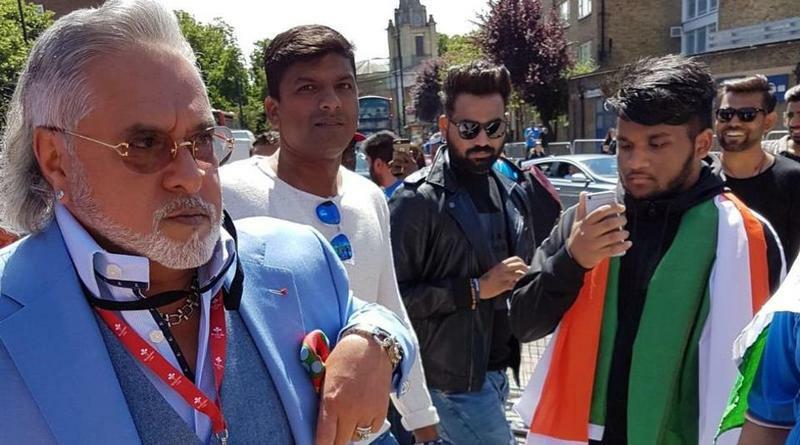 Fugitive businessman Vijay Mallya was booed by a section of India supporters as he entered the Oval arena to watch Indias crucial ICC Champions Trophy encounter against South Africa on Sunday. He also disturbed the Indian team by appearing at the party ,when he dropped in at Virat Kohli Foundation’s Charity Dinner, was in for some embarrassment when he along with a companion entered the stadium. Wearing a black trouser and a sky blue blazer, Mallya was entering through famous Sir Jack Hobbs Gate when a few supporters started shouting Chor, Chor (Thief, Thief). One fan, in fact, started filming his entry as another shouted Woh dekho chor jaa raha hain andar, Chor chor (Look the thief is entering the stadium). Mallya for a fleeting second looked back before showing his customary non-challance while making his way to the Hospitality Box. The Indian government has been desperately trying for Mallyas extradition. The former UB group chief fled the country last year and has unpaid debts close to the tune of Rs 9000 crore taken as loans from various Indian banks. A few days back, Indian team had to leave Kohlis Charity Dinner function early to avoid having any interaction with Mallya. In fact, skipper Kohli, who plays for Royal Challengers Bangalore in IPL, a team that used to be once owned by Mallya, also maintained a dignified distance from the tainted businessman.